ACTIVE W/ CONTRACTCentrally located multi family parcel with good access to Brooksville and Spring Hill. 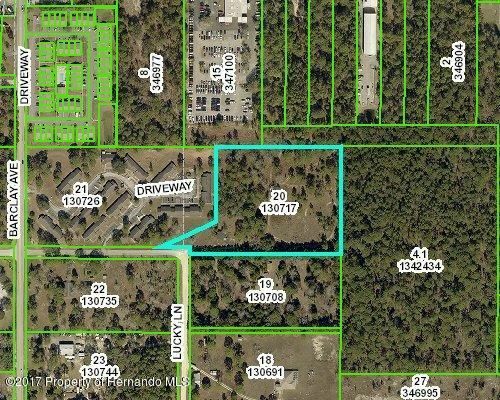 This 5.7 acres is ideally suited for SR Housing and apartments with good access to main roads (SR50) and Suncoast Parkway. Currently allows up to 90 units. This may increase to 125 in 2018.